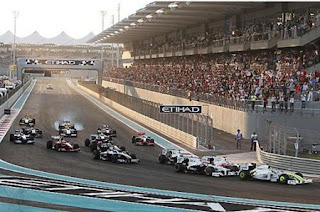 Tickets for the F1 Abu Dhabi Grand Prix are getting low, in fact there is only around 4000 tickets left. These tickets are for the South Grandstand and the Marina Grandstand and can be purchased from www.yasmarinacircuit.ae, selected Etihad Airways shops, Virgin Megastores, Yas hotel, Ferrari World YMC kiosk and Yas Marina Welcome Centres. F1 is very famous and enjoyable moment for people who love super jet cars.Most of time tickets sold before one month. Fantastic event.